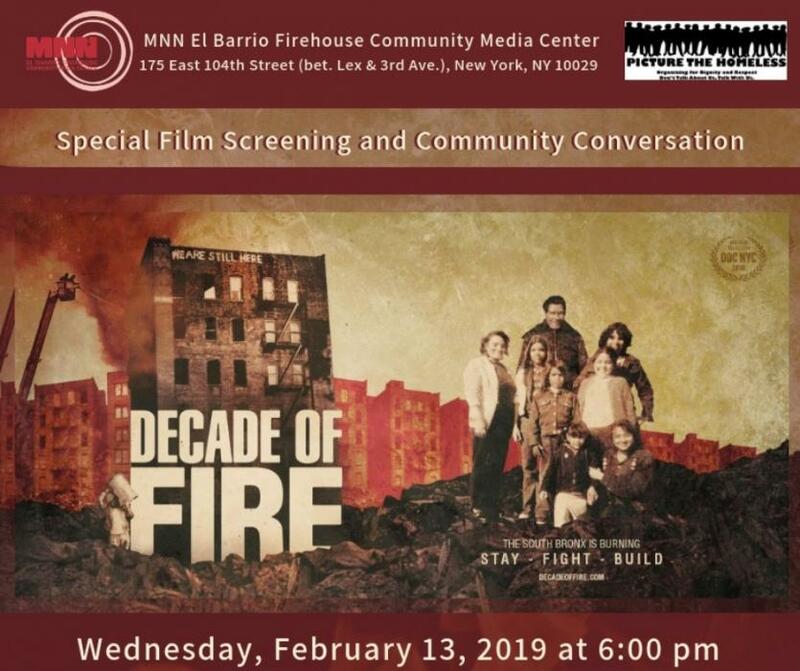 Join us for a special film screening and community conversation with cast and crew of the documentary Decade of Fire. "In the 1970s, the Bronx was on fire. Left unprotected by the city government, nearly a half-million people were displaced as their close-knit, multiethnic neighborhood burned, reducing the community to rubble. While insidious government policies caused the devastation, Black and Latino residents bore the blame. In this story of hope and resistance, Bronx native Vivian Vazquez exposes the truth about the borough’s sordid history and reveals how her embattled and maligned community chose to resist, remain and rebuild."